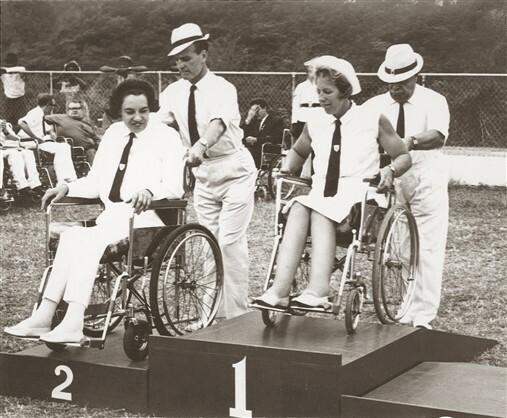 Through the 1950s Stoke Mandeville had been hosting the annual National Wheelchair Games in June followed by the International World Wheelchair Games in July. Then in Rome 1960 the International Games were held for the first time in the Olympics venue immediately after the Olympic Games. 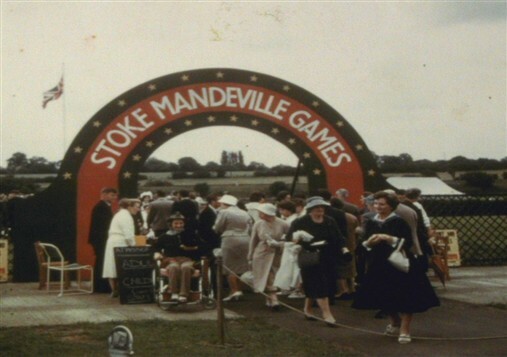 These games were the first to be held somewhere other than Stoke Mandeville. 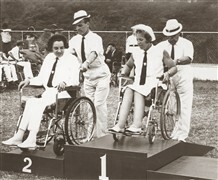 They are now seen as the first “Paralympic Games” although at the time the term was not used; in fact they were still called the International Stoke Mandeville Games. 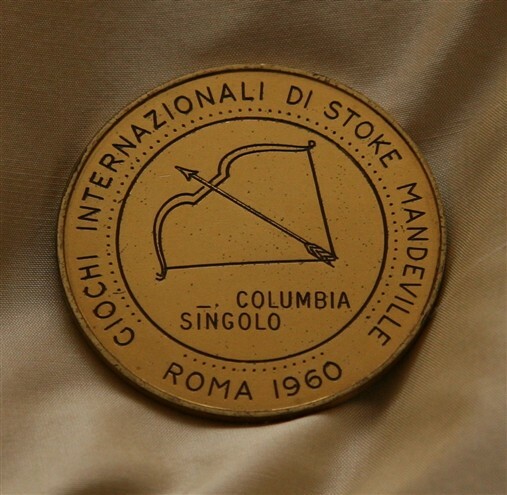 So from 1960 on the annual International Games were held at Stoke Mandeville except in the Olympic year when the Games would now took place in the same city or at least country as that of the Olympic host, but in practice this did not always happen. The Stoke Mandeville National Games was the annual calendar event for all the disabled sports clubs attached to hospitals from around the country and participants would come from all over the UK to participate and, if they did well, to then go on to take part in the International or Paralympic Games that followed. "Stoke Mandeville Hospital in 1960 was an eye-opener. I was horrified by the accommodation and the shabby huts. For myself and the physios who were looking after the team what the games mostly seemed to mean was endlessly having to go round to the main hospital, get hold of a trolley, load it up with the food for the meal, then push it back, by which time it was probably cold. Then you had to wash up everyone’s dishes and there was no hot water in the hut! And we had to do that three times a day. As I say, it all seemed very basic compared with the Thistle...When the games were on it was quite extraordinary the way that everyone was packed in. There were beds everywhere; I remember one lot even ended up in beds put all around the old hydrotherapy pool. Other teams got sent further out to places like the Rivets’ sports hall which would be filled up with beds. I remember one year I spent the entire time of the games sleeping on Charlie Atkinson’s office floor in the hospital along with Norma Newton." Britain's first 'Paralympic' gold medal, won by Margaret Maughan for archery at Rome in 1960. 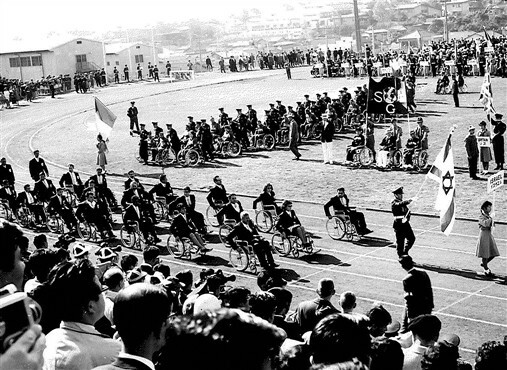 The Japanese were keen to host a Games following the 1964 Tokyo Olympics after they had seen the success of the Rome Games and created a positive working relationship with Stoke Mandeville. 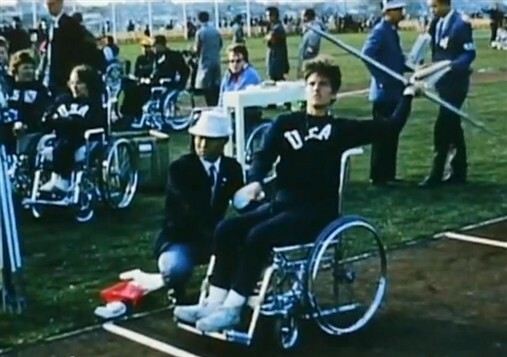 This positive experience was not repeated in 1968 when the Olympic Games were held in Mexico City but financial constraints and issues of accessibility prevented them hosting the Stoke Mandeville Games. Instead Tel Aviv stepped into the breach and hosted. 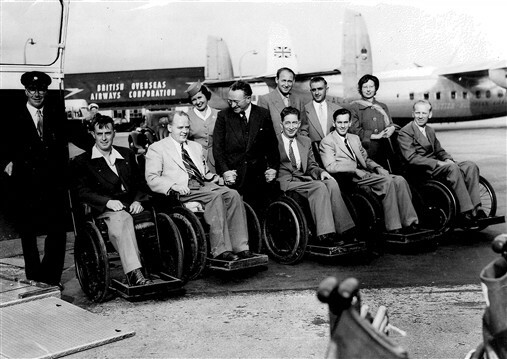 "Long distance air travel for people in wheel chairs was still in its infancy... It was the 1962 Commonwealth Games at Perth in Western Australia that was the British team’s first experience of long-haul flights for wheel-chair athletes. We stopped off on the way at Bahrain, Colombo and Singapore. It really was pretty primitive; going along the aisle with a bucket to empty the catheter bags; and there was Guttmann walking down the plane encouraging people to keep moving their limbs to avoid them swelling. Two of the athletes ended up having to be put up in the overhead baggage racks so they could lie flat; one had a broken leg while the other was so swollen that we had to get him flat to relieve the pressure in his legs. Margaret was part of the British Olympic team for 20 years starting with the Rome games in 1960 where she won gold for archery and continuing up until the Arnhem in 1980. Lady Susan won medals in Rome and Tokyo in swimming and table tennis. Caz competed at games from Tokyo in 1964 through to Seoul in 1988 winning medals for swimming, athletics, table tennis and fencing. Read their full interviews below.